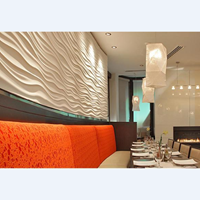 The 3D panel on the wall gives the impression of luxury and dynamic. Suitable to apply to hotels, restaurants, homes and office buildings, hospitals, and office lobby areas. Ceiling is a type of construction component that is used as a separator between the room with the roof tile. Ceiling there are many types and models, one of which is the decorative ceiling. This type of ceiling is designed with a unique and beautiful model. Provide a luxurious and elegant impression, thus adding the value of art and fashion to your room. 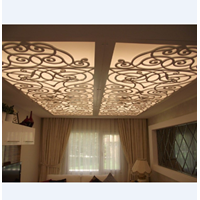 We provide various models of decorative ceiling, can custom according to your wishes. 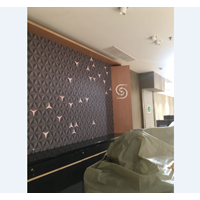 3D panels are very suitable for presenting a luxurious and dynamic atmosphere in the area of ​​offices, hotels, houses, condos, hospitals and other commercial areas that are frequently passed by guests. There are dozens of models ready for use. Contact us to get the first special purchase price. 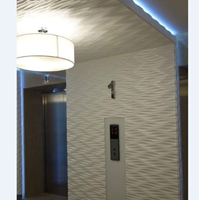 Buat Permintaan Untuk "Decorative Panels"